I'm very excited to share my review of this subscription box with you all. This is by far the best value box I receive currently. 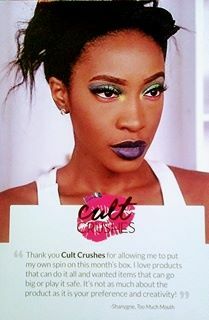 Cult Crushes costs only $11 a month and the value of this months box is unbelievable (if you want to see a full break down read and scroll till the end of this post)! 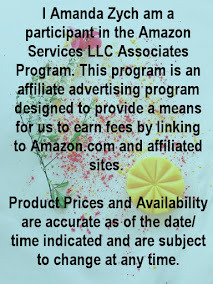 You also receive a 25% discount on any purchases from their site when you hold a subscription. As of last month, this box started a wait list due to popular demand but, the wait will be worth it guaranteed. There is nothing in this box I won't be using. If you are interested in learning more check this sub box out here and check back for a new review every month! This is pretty much your basic quality beauty blender it does get bigger when soaked in water and rung out. I really don't buy blenders anymore however because I get a lot from my subscription boxes. If you do need one of these though I would suggest this one. Palladio Liquid Eyeliner in Black Value $6.50! Palladio liquid eyeliner in black is $6.50 well spent! It reminds me of some more pricey drugstore brand eyeliner that I use to have. 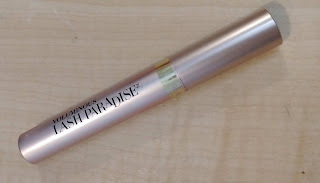 It does take a minute to dry down but, once it does it works exactly like you would expect any nice liquid liner too. 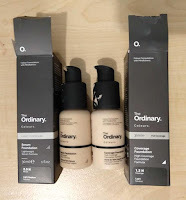 At first, I really didn't want to even give this the time of day because I was in love with my current face primer but, I seem to have miss placed it and tried this one. 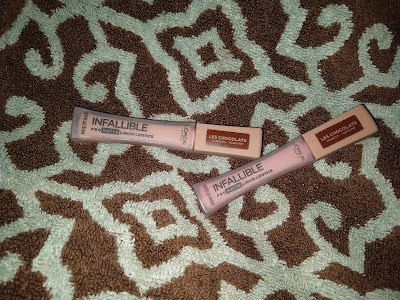 I will not go back to my Smashbox photo finish after trying this one! I'm very happy Ricky's introduced me to this. The texture of it is nearly identical and they both work extremely well. I will now save $26 dollars each time I need more. The photo finish primer is $36 for a 1oz. This is just $6 for a .5 oz (so $12 for a 1oz). I will purchase this again and again! Though I have not gotten the chance to try this yet beauty guru's all over youtube recommend and use this brand. It definitely adds value to this box and I look forward to trying them out. This is my favorite part of this box! I would have never purchased this or any of this line for that matter had they not put this in this box. I was very surprised at how much I liked the matte colors and how pigmented they actually turn out. If you are like me and a huge fan of metallic shadows give this a chance it really helps mix and play with all those metallics! 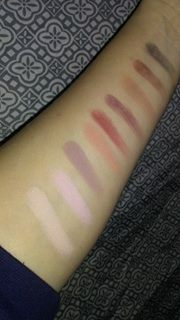 See a look and swatches below.